Maniac Mansion revolutionized adventure games of the late 1980s when games were mostly text-based adventure games. It was released by LucasArts Entertainment (formerly Lucasfilms Games) for the PC XT and Commodore 64 home computers. The game’s popularity inspired many adventure games and even a television series. 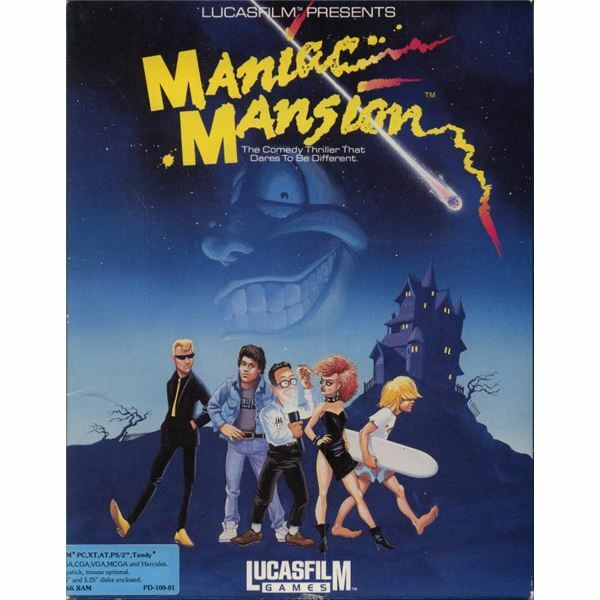 Maniac Mansion was considered a huge breakthrough among adventure games because it was the first game to have introduced a point and click interface and scrolling screens. Unlike most single-ending adventure games, Maniac Mansion had several different endings for each character selected. You control Dave, the hero and two of his six buddies to rescue Dave’s girlfriend Sandy from the clutches of Dr. Fred Edison. In his quest to control the world, the mad doctor tries a ‘brain drain’ experiment on Sandy and you have to rescue her and foil the evil doctor’s plans before he succeeds in his mission. In your attempt to save Sandy, you will confront many colorful Tentacles, Dr. Fred’s sister Nurse Edna, a weird teenager and other oddities. You will also have many puzzles to solve and only then can you rescue Sandy. Maniac Mansion is a point and click adventure game which heavily relies on inventory based puzzles. The inventories and commands are all listed at the bottom of the screen. Puzzles are usually very logical. The puzzles consists using item A with item B to unlock Item C and such, but can be quite confusing for the novice gamer. The game’s non-linearity also makes it very difficult to solve, since you are not given any clues on what to do next. The mansion has many rooms and sometimes, you may stumble on the same room twice in the game. The game was released in a Floppy Disk version in 1987. There’s also a CD ROM version available on e-stores like Amazon and eBay. The CD ROM features improved graphics and an opening theme different from the original version. You can also download the free maniac mansion for PC and play in Windows PC. The game has some beautiful cut-scenes and animations that reveal information about the mansion and it many characters. The graphics are primitive, but were far better than the graphics of other adventure games in the same period. At that time most games were either text-based, or had large pixilated graphics. Graphics in Maniac Mansion were colorful and shared similarities with 80's humorous comic books. The game does not have any voice acting which is understandable as it was released in the late 80's. The interactions between characters are displayed in subtitles. The sounds are very basic, but there are many memorable melodies in the deluxe edition. Make sure you turn your speakers loud to hear the most memorable and entertaining theme song. 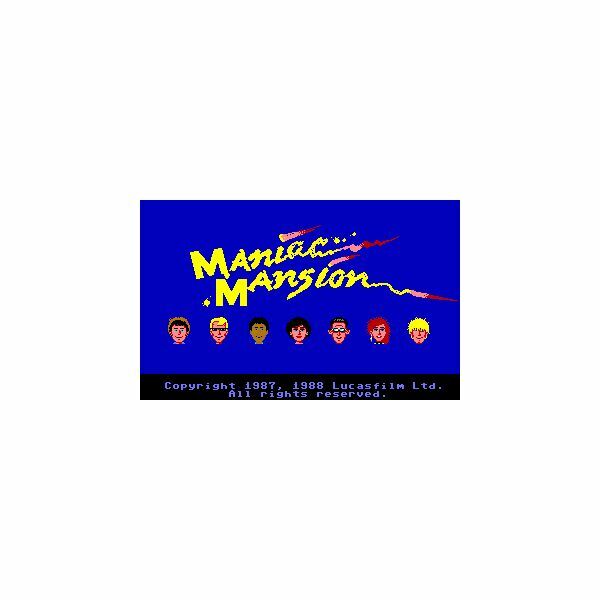 With an intuitive interface and humorous plot, Maniac Mansion is one of the best adventure games in the history of computer gaming. Its popularity spawned a second sequel named Day of the Tentacles. If you have a sweet tooth for classic adventure games, I recommend you add this game in your adventure collection.